If you haven’t already invested in the GL365 grease filter, then this blog is for you! You may be spending more money, time, and resources than necessary if you haven’t made the switch to the Grease Lock 365 filter, yet. Investing in this high-quality grease filter will keep your business cleaner for longer, saving you time and money. If you checked out the introduction video above, then you saw how much of a difference this one-of-a-kind filter can make in any kitchen. When you invest in the GL365 grease filter, you’re not only protecting your grease containment system, you are also protecting your roof. As grease is pulled up from your kitchen through the exhaust, not only does it coat your kitchen hood with grease, it can coat your roof in an oily mess too. The GL365 grease filter is designed to trap and hold grease so that less grease particles are allowed to pass through your exhaust system. Choosing to use a GL365 grease filter reduces your need for frequent hood cleanings, which saves you money and saves the environment some water. You also reduce the need for rooftop cleanings, as you could see in the video, the GL365 grease filter protects your roof for longer periods of time than some of the other filters on the market. It also prevents an excessive amount of grease building up on your rooftop grease containment system, which keeps your business and your employees safe—by reducing the risk of fires. You want to avoid grease build-up on your roof at all costs (so we suggest switching to the GL365 grease filter). When grease builds up on your roof, you could be facing costly repairs as grease deteriorates roofing materials over time. You could also be facing serious fines from the EPA because if you allow your rooftop to become too overrun with grease and it happens to rain, you could have water code violations as the grease water runs off into storm drains. A fine from the EPA for this kind of violation could be as high as ten thousand ($10,000) dollars. Save ten thousand dollars, invest in GL365 grease filters. Luckily, Facilitec West is your trusted source for GL365 filters. 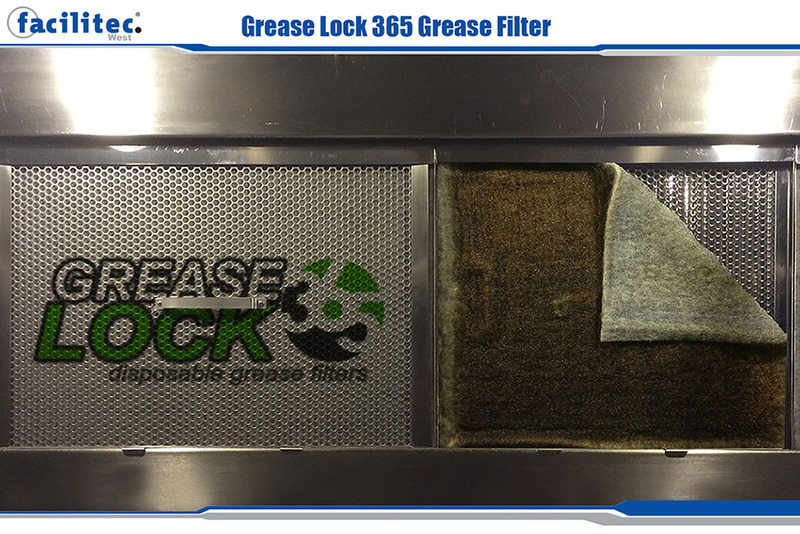 Grease Lock’s GL365 fiber filter is our choice for any kitchen as they trap grease more easily than other filters on the market and maintain their baffle filter structure along the way. Plus, it’s a “green” solution that benefits our environment, which is always better for your business. When you invest in the care of your environment, you invest in the care of your business. The GL365 grease filter has a grease capture rate of 98 percent; other filters, when they are brand new, can only trap 70-80 perfect of grease that passes through them. That’s the difference between getting a C- grade filter and an A+ grade filter; get the A+ grade filter. 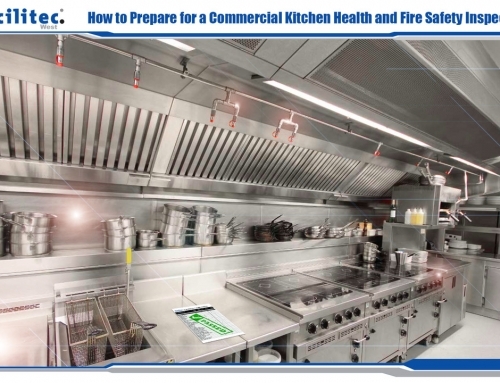 It significantly reduces the need for a secondary grease containment system. How great would it be to rely on one system to catch all your grease and protect your business? We bet it would save you a lot of headaches. It helps save the environment by saving water, as we mentioned earlier, due to needing fewer cleanings. The filters are also 100 percent biodegradable and disposable. This saves you on labor costs, allowing you or someone in your staff to quickly and easily replace the filters when their time has come—maybe after a year?